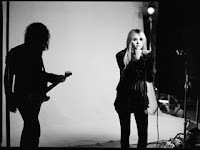 The Pretty Reckless have a released a teaser of a brand new song titled, "Burn." You can listen to the clip below. The track is taken from the band's upcoming new album, Going To Hell, which is expected to be released later this year.